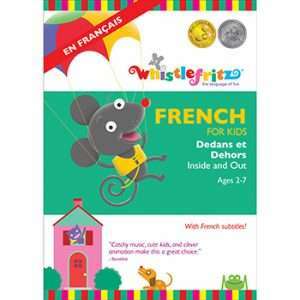 Enrich your French instruction with the award-winning, multi-media Educator’s French Collection! The Educator’s French Collection provides a rich and diverse set of tools for Pre-K and early elementary French instruction. Developed by creative and experienced educators, French Lesson Plans for Kids is a scaffolded curriculum of 40 reproducible lessons that engage children in a diverse array of interactive, age-appropriate activities. 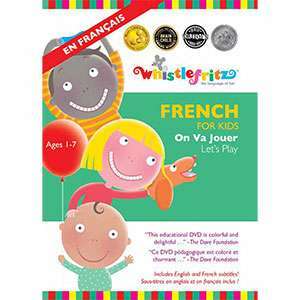 French for Kids videos teach vocabulary through an appealing blend of live action and animation ideal for visual learners. 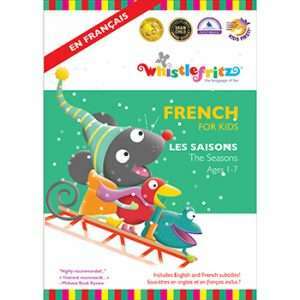 French for Kids CDs get children on their feet singing and dancing to an irresistible mix of upbeat songs and rhythms. The Matching Cards are a playful introduction to action words. Packed with fun, laughter, and music, the Educator’s French Collection is a treasure trove of teaching activities and materials for the French classroom! Get the language-learning party started with The French Collection. Four lively programs encourage children to speak in French, sing in French, even dance in French! This multimedia set includes the French immersion DVDs “Dedans et dehors (Inside and Out)” and “On va jouer (Let’s Play).” Created to be enjoyed again and again, each DVD encourages children to learn basic French vocabulary as they interact with vivacious host Marie, playful peers and charming animated characters. The fun continues with the lively CDs, “Cha, cha, cha” and “Allons danser! (Let’s Dance! ),” that combine catchy original songs and traditional favorites with rollicking world music rhythms. “The French Collection” is your passport to an exciting new world of language learning fun!